Previously a member of Samson, Burr joined Iron Maiden in 1979. An acquaintance of then-Iron Maiden guitarist Dennis Stratton, Burr played on their first three records: Iron Maiden, Killers and their breakthrough release The Number of the Beast. 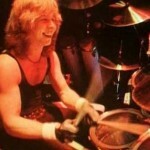 Burr was fired from the band in 1982 during The Beast on the Road tour. 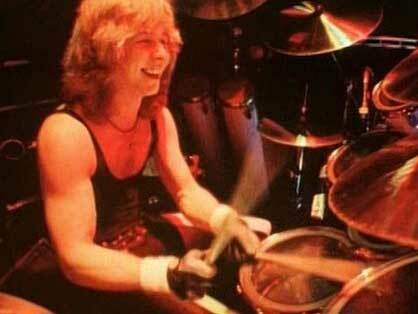 He was replaced by the band’s current drummer, Nicko McBrain. Burr co-wrote one song on The Number of the Beast, “Gangland”, and another song, “Total Eclipse”, that was cut from the album and showed up as the b-side of the “Run to the Hills” single, and later on the Number Of The Beast remastered CD re-release. Burr also appeared on “The Number of the Beast” and “Run To The Hills” videos. Iron Maiden lead singer Bruce Dickinson considered Burr to be “…the best drummer the band ever had.